AndroidX (previously known as Android Support Library) started out as a small set of libraries intended to provide backwards compatibility for new Android platform APIs and, as such, its development was strictly tied to the platform. As a result, all work was done in internal Google branches and then pushed to the public Android Open Source Project (AOSP) together with the platform push. With this flow, external contributions were limited to a narrow window of time where the internal and AOSP branches were close in content. On top of that, it was difficult to contribute -- in order to do a full AndroidX build and testing, external developers had to check out >40GB of the full Android platform code. Today, the scope of AndroidX has expanded dramatically and includes libraries such as AppCompat for easier UI development, Room for database management, and WorkManager for background work. Many of these libraries implement higher-level abstractions and are less tied to new revisions of the Android platform, and all libraries are designed with backwards compatibility in mind from the start. Several libraries, such as RecyclerView and Fragment, are purely AndroidX-side implementations with few ties to the platform. 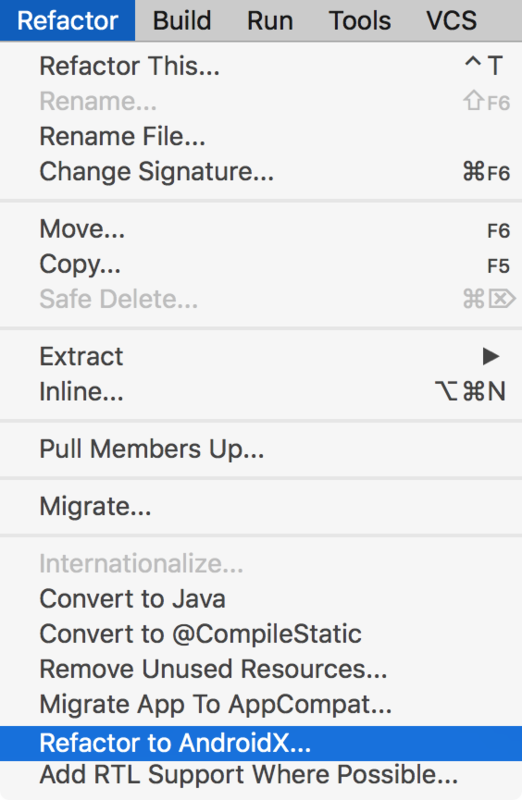 Starting a little over two years ago, we began a process of unbundling -- moving AndroidX out of Android platform builds into its own separate build. We had to do a great deal of work, including migrating our builds from make to Gradle as well as migrating all of our API tracking tools and documentation generation out of the platform build. 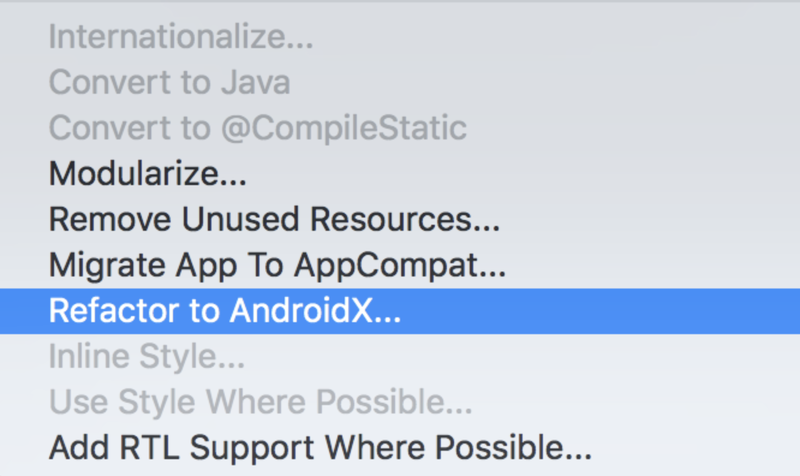 With that process completed, we reached a point where a developer can now check out a minimal AndroidX project, open it in Android Studio, and build using the public SDK and public Android Gradle Plugin. The Android developer community has long expressed a desire to contribute more easily to AndroidX; however, this was always a challenge due to the reasons described above. This changes today: AndroidX development is moving to public AOSP. That means that our primary feature development (except for top-secret integrations with the platform 😀) and bug fixes will be done in the open using the r.android.com Gerrit review tool and changes will be visible in the aosp/androidx-master-dev branch. We are making this change to give better transparency to developers; it gives developers a chance to see features and bug fixes implemented in real-time. We are also excited about receiving bug fix contributions from the community. We have written up a short guide on how to go about contributing a patch. In addition to regular development, AOSP will be a place for experimentation and prototyping. You will see new libraries show up in this repository; some of them may be removed before they ship, change dramatically during pre-alpha development, or merge into existing libraries. The general rule is that only the libraries on maven.google.com are officially ready for external developer usage. Finally, we are just getting started. We apologize for any rough edges that you might have when contributing to AndroidX, and we request your feedback via the public AndroidX tracker if you hit any issues.